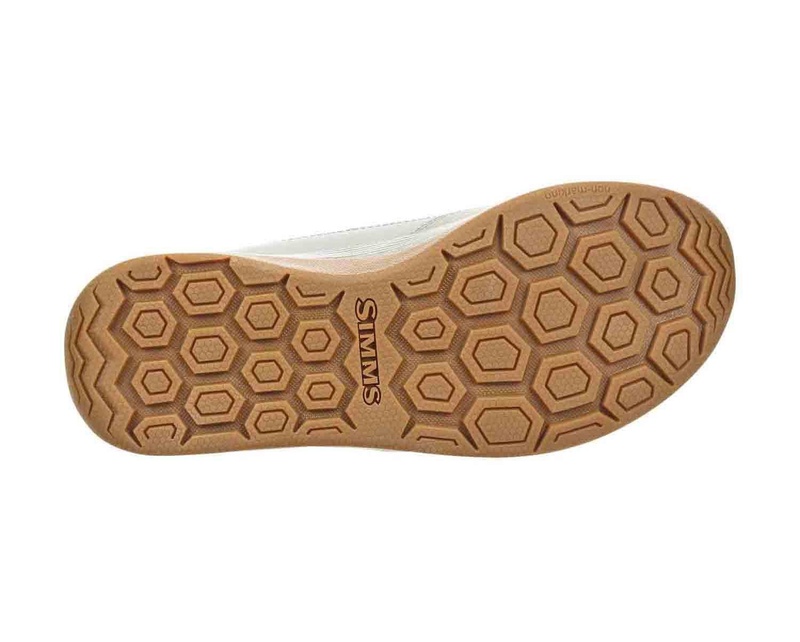 Simms Flats Sneaker Boulder, Sneaker comfort and mobility meets wading boot durability and support for the saltwater flats. 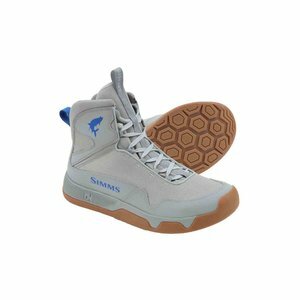 Nothing compares to stalking fish on saltwater flats. 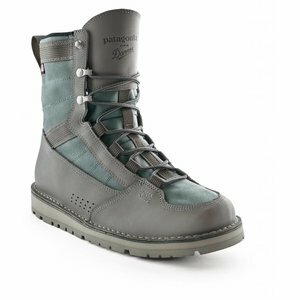 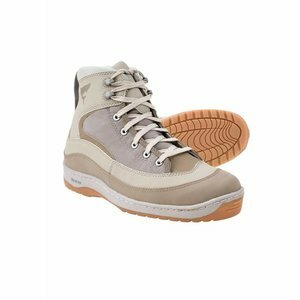 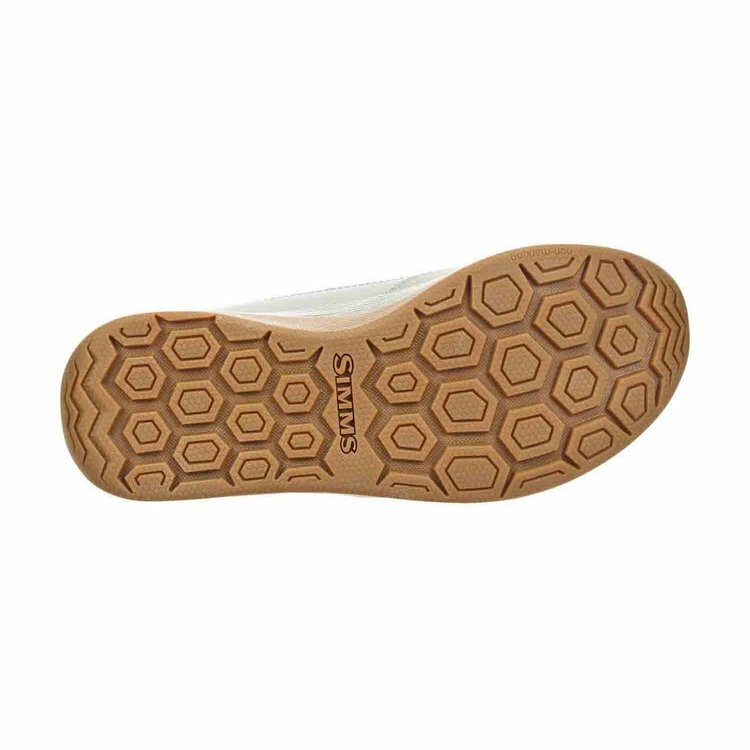 Simms purpose-built Flats Sneaker is the go-to choice for roaming these skinny waters, blending the durability and support of a wading boot with the lightweight feel of a sneaker. 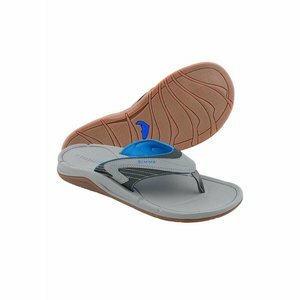 Non-marking rubber outsoles deliver the traction you need on the boat or in the water, while Right Angle® footbeds and a mid-height design promote surefooted, all-day comfort. 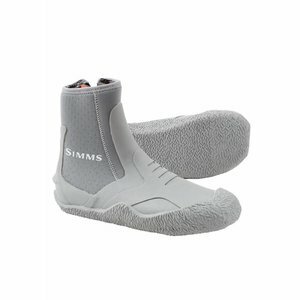 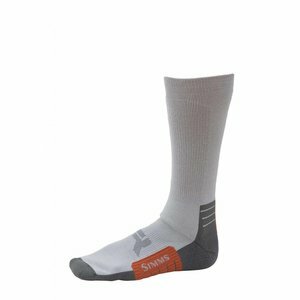 Simms Guide Wet Wading Socks are the ultimate tools for hardworking feet exploring cool summer flows or salt flats. 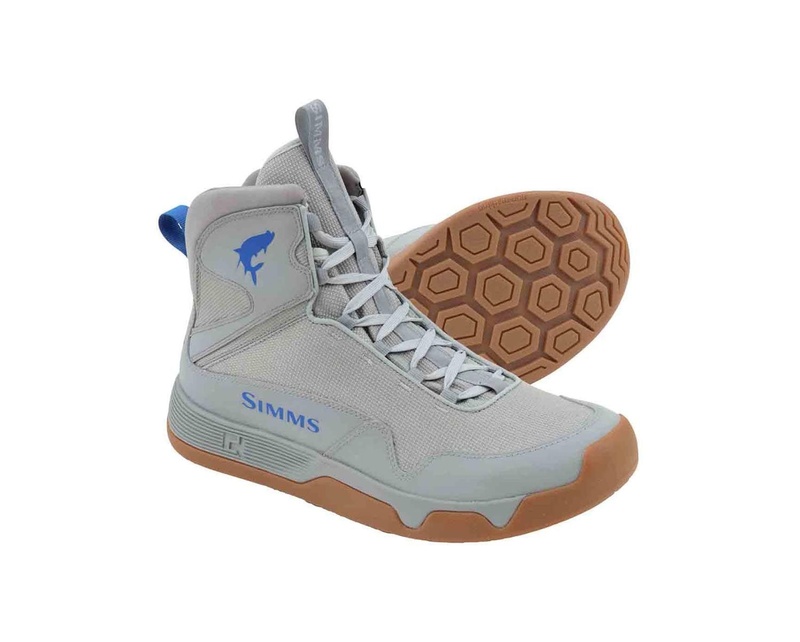 Simms Atoll Flip -Wide, With a wide foot! Flips equipped to fish, with an updated on-the-water platform .